CAMPUS 02 and the the Austrian National Union of Students support students in stressful times and situations. It is our aim to provide help when you cannot cope with situations, such as stress during your studies and at work and/or conflicts with family or friends, on your own. CAMPUS 02 and the Austrian National Union of Students offer students free online counselling at Instahelp for four weeks. 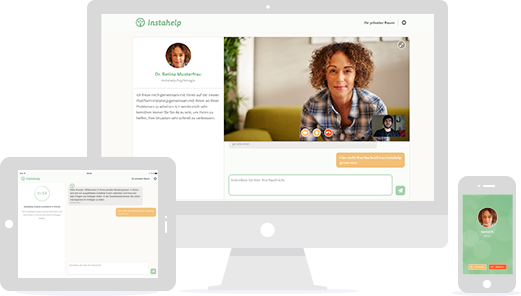 With online student counselling students can anonymously exchange thoughts with online counsellors from home using a computer or smartphone. The experienced Instahelp online counsellors provide a private environment and adapt to the individual needs of students. These measures are provided to all students anonymously and free of charge. International students are also welcome to approach the Rector’s Office if they need assistance in finding an English-speaking counsellor, psychotherapist or psychologist.